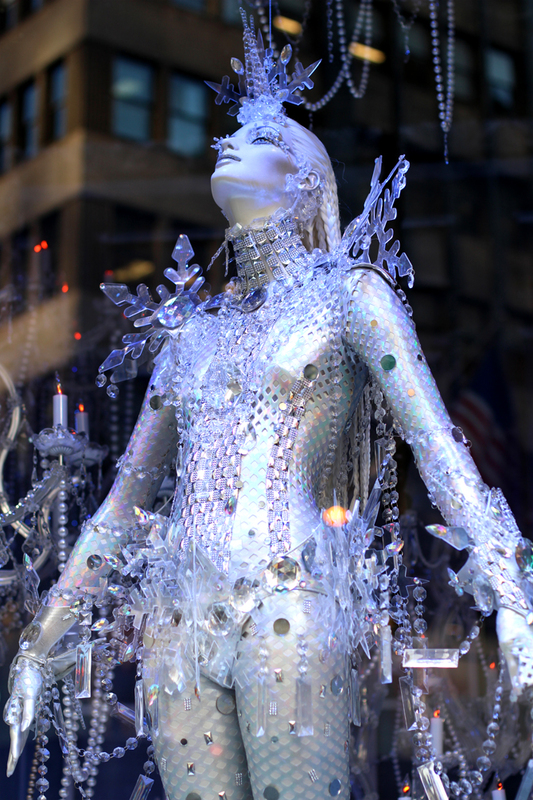 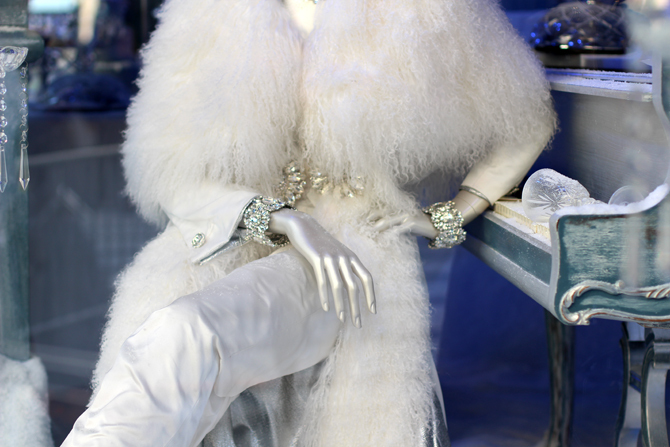 And we can't forget Saks Fifth Avenue's display this year, featuring tableaus of holiday opulence in glittery shades of white. 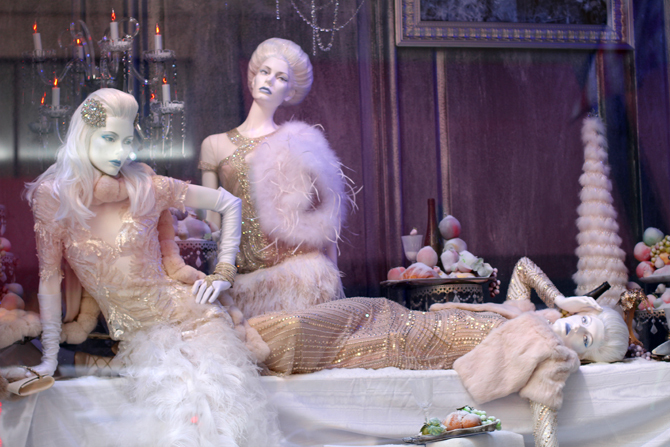 My favorite was the three lounging divas, which may or may not remind me of me and my two sisters...in our dreams. 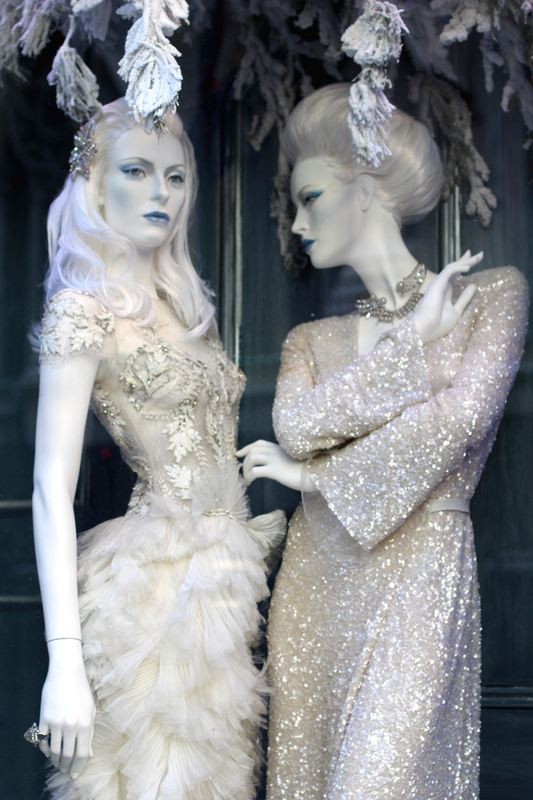 And doesn't that ice princess look like Gaga?? 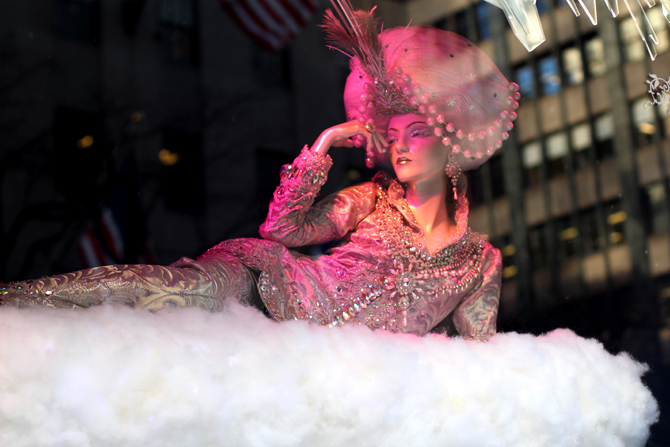 Stay tuned for the next post, featuring the last of my favorite Fifth Avenue holiday windows!